People with ADHD are often eager to explore all the possibilities of better managing their ADHD challenges. Even though studies show that medication is up to 70-80% effective in reducing the core symptoms of ADHD (inattention, impulsivity and distractibility), there is no “magic pill” that alleviates all the struggles or cures ADHD. The impact of ADHD is 24 hours a day, 7 days a week and most ADHD medications wear off within 4-12 hours. That leaves many hours in the day that often require alternative ways of coping with and managing ADHD symptoms. In addition to medication, I have found there are some additional “natural” ways that can make a significant positive impact on people’s experience with ADHD. Learn as much as you possibly can about ADHD. Each person experiences ADHD differently, and the only way to really understand your ADHD- how it impacts you, how best to manage it- is to learn as much about ADHD as possible. I recommend you Google it, read books and articles about ADHD, get on mailing lists from some of your favorite ADHD experts, join ADHD support groups, attend conferences and talk to other people with ADHD. Learning as much as you can about your ADHD empowers you to make choices on options and strategies for better managing your challenges. Getting enough sleep is truly one of the best ways you can minimize your ADHD symptoms. So much happens in our brains and bodies when we sleep. It is the only time that certain neurotransmitters are produced in our brain, memories are stored and our body repairs itself. And no doubt, when we are tired it is hard to focus and pay attention. For people with ADHD, these challenges are even worse. I have seen huge improvement in people’s ability to attend and focus during the day, simply by getting enough sleep. What this means is that you need to create a lifestyle that allows for consistent and adequate sleep. Make sure you’re turning off stimulating activities at least one hour before trying to fall asleep in order to let your brain begin to relax. Going to bed at the same time is helpful, but over and over again it is the discipline to get up at the same time EVERY day that makes the biggest difference. 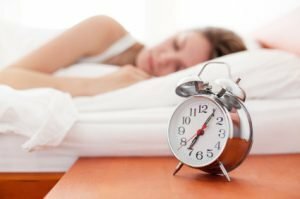 If for some reason you go to sleep later one night, but get up at the same time the next morning, your body will naturally become tired by the end of the day and you will quickly get back on schedule. This may perhaps be the least obvious “natural way” to better manage your ADHD. However, being able to laugh at yourself, and the inevitable “ADD” things we will do when we have ADHD, is a huge coping strategy. Maintaining a sense of humor also allows us to forgive ourselves more readily and prevents that rumination we can so easily get caught up in when we are struggling. Considering that I am not a huge fan of exercise myself (I always say that the best part of exercise for me is when it is over! ), I know that exercise or movement of any kind that gets people with ADHD up and in motion seems to help. Moving our body, exercising, even fidgeting with things, increases the amount of dopamine available in our brains. More dopamine means that people with ADHD can concentrate better, hold their attention on things less interesting and even reduce that inner restlessness they feel. So, whether it is walking to the water cooler, running after work, dancing around as you clean the house, or pacing when talking on the phone…moving is going to help you better concentrate! Having people around you who love you and your ADHD is one of the best “natural ways” to better manage your ADHD struggles. Isolating ourselves is often tempting when we live with ADHD. Having supportive family or friends that “get you” and love you and your ADHD is crucial to feeling satisfied in our lives. These are my five top suggestions for “natural ways” to better manage your ADHD. I would love to hear some of your “natural remedies” and welcome your comments on this blog post. Is it Time for You to Update Your ADHD Routine? great writing, going to apply your suggestions. Thank you very, very much for this post. And thank God because I found your website. I have a young friend (25 years) who has ADHD. I’m worried for him. I always say that I admire him for his qualities , from his great soul, education and other many talents.I also said to him that is brilliant. He enjoyed to hear it from me. But other people run away from him because it is frivolous and forgetful. He does ‘t support neither from his parents. He had several accidents before.Love the speed and he had an motorcycle accident. Lose this jobs one after another. He knows there is a problem and we decided to talk together about his self image. Just he asked me for help ! I want to apply the fifth point of the best “natural” way to manage adult ADHD : “Good friends”. But how ? he’s always in speed and I rarely look. How to help him if our discussions are so short because he is always on alert? I’m afraid if I call him to phone too often , will remove me from his frendship list. HI Rodica! Thanks for your comment. The best way to be his friend is to simply be there, non judgmentally, when and if he want’s to talk about his ADHD. At 25 he is responsible for himself, but if he is to ever look at wanting to manage his ADHD differently, knowing that you do not have any expectations or judments around piece of who he is, is the best way to leave the possibilities open.